KUWAIT’S Equate Petrochemical Company has announced it has boosted sales to local plastic companies by 400 per cent since 1998. 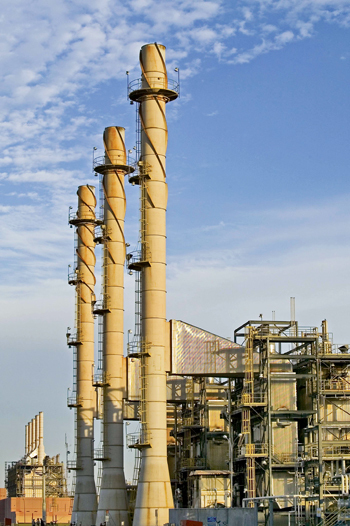 The company is Kuwait’s first international petrochemical joint-venture. ‘Partners in Success” is not merely a slogan, it is a solid commitment to fully cooperate with all of our customers, especially local ones,” said Mohammad Husain, Equate president and CEO, speaking at the recent Equate Polyethylene Technical Seminar for Kuwait plastic manufacturers. Al Saleh noted that Equate had established a solid base to launch exports of made-in-Kuwait finished plastic products. “For that, it continuously supports your efforts in supplying the local market’s demands with reliability, as well as growing your exports and presence in other countries,” he added. Al Qattan pledged to support local manufacturers saying Equate’s expertise and state-of-the-art facilities would help them achieve greater success and growth. With the attendance of over 20 local plastic manufacturers and several management members of Equate, the seminar covered a variety of economic, industrial and technical issues as well as the latest market trends through presentations and discussions with participants. The company produces polyethylene, styrene monomer and ethylene glycol. It is a joint venture between Petrochemical Industries Company, The Dow Chemical Company, Boubyan Petrochemical Company and Qurain Petrochemical Industries. Production began in 1997.